In an age where more and more young kids are reading comics—especially young girls—there’s not really much material out there that caters to children who are between kids comics and teen books. Papercutz wants to change that with its new imprint aimed at tween girls, and we’ve got an exclusive look at one of its new books. 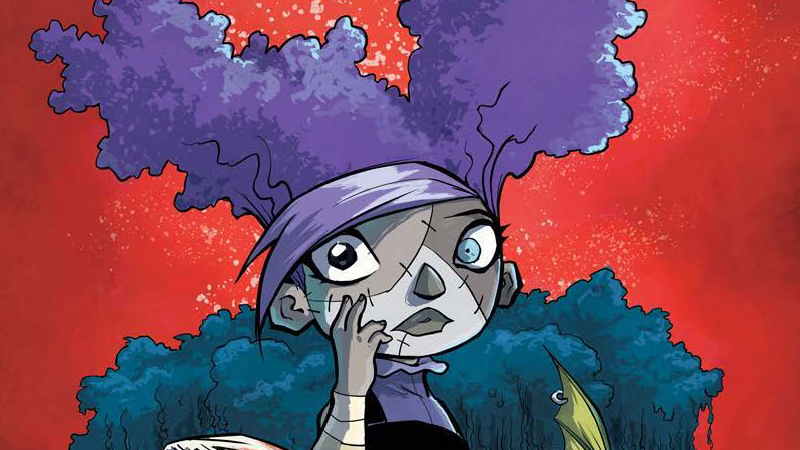 Charmz will launch this spring with three new series: Stitched, by Mariah Huehner and Aaron Alexovich; Chloe by Greg Tessier and Amandine; and Sweeties, by Veronique Grisseaux and Anna Merli, all written and created for the pre-adolescent female reader. While all the series cover different genres and settings, they’re tied together by themes of friendship. Check out Stitched—a series about Crimson Volania Mulch, a young patchwork girl who wakes up in a graveyard with no memory other than her name, and her quest to find out more about her existence, find people like her, and survive the monster-filled crypts of the Cemetery of Assumptions. Stitched, as well as the other books kicking off the Charmz imprint, will launch in May.